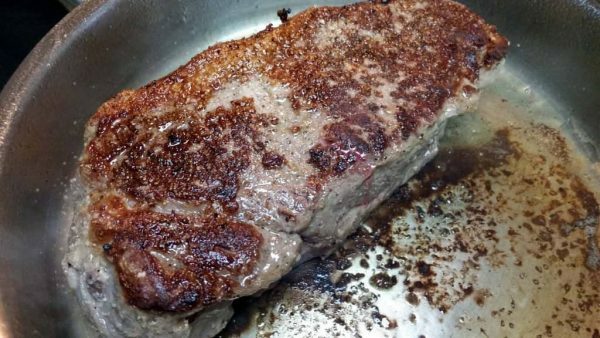 So you want to know how to cook a steak? 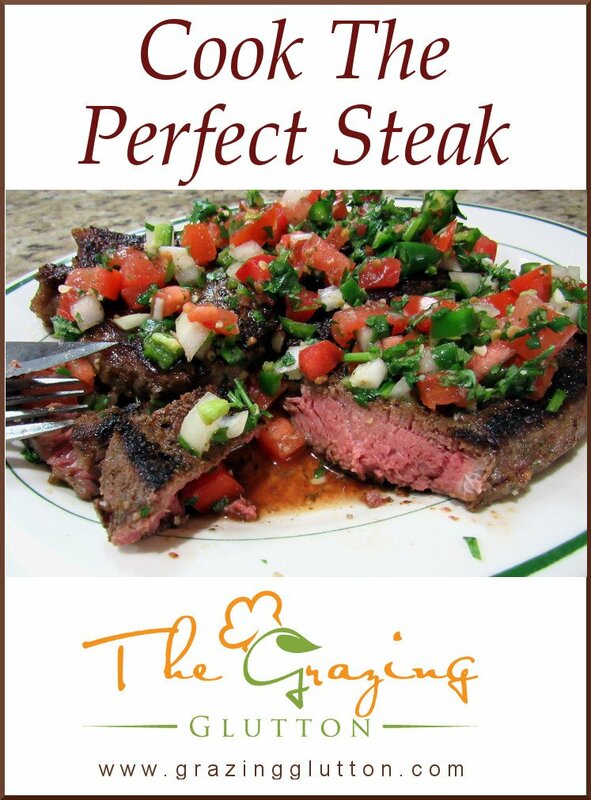 If you are looking to cook the perfect steak every time, look no further because you have arrived. 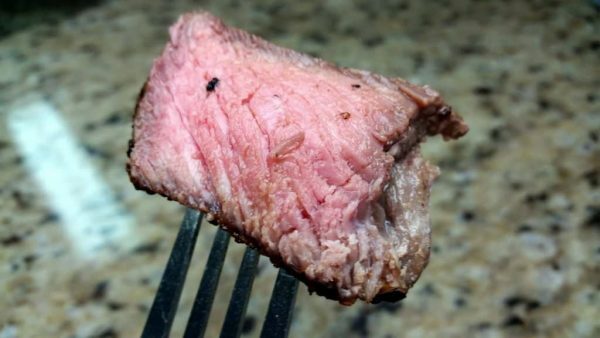 The Sous Vide cooking technique can do that and so much more. 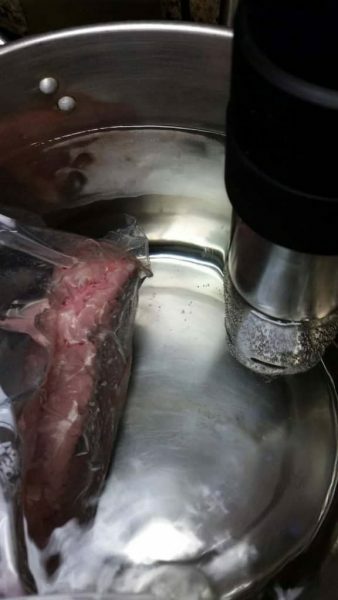 Sous vide is French for “under vacuum”. 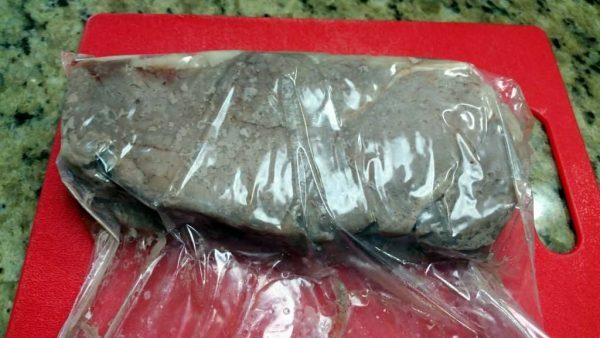 Food is vacuum sealed and prepared in a water bath. 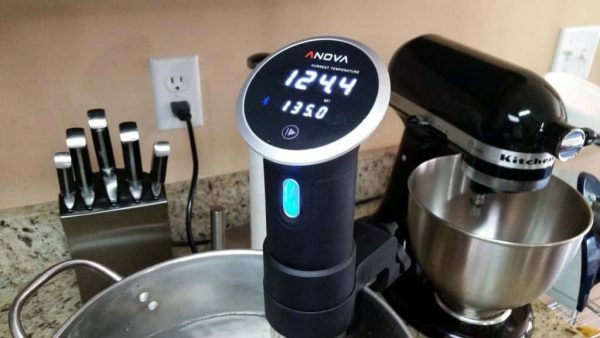 Moreover, any meat to seafood and vegetables can create some incredible meals cooking sous vide. 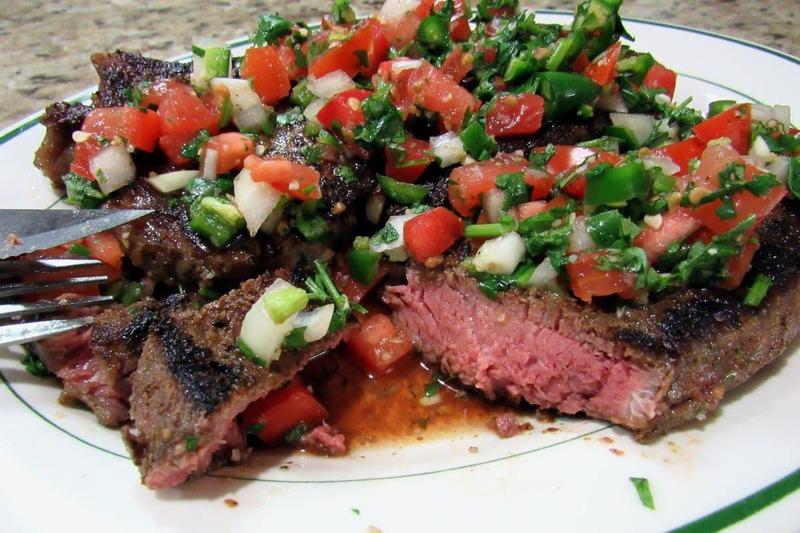 Near the bottom of the page are a few links to recipes that will go well with your steak. 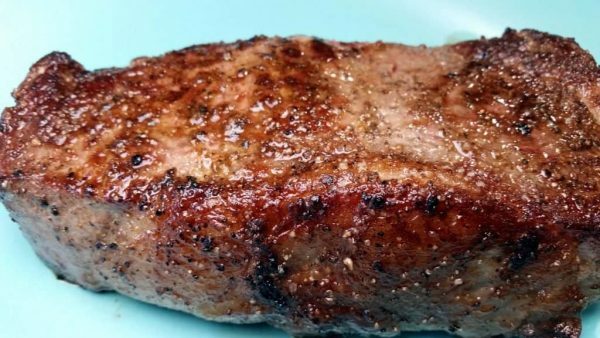 Products to help with your how to cook a steak technique. 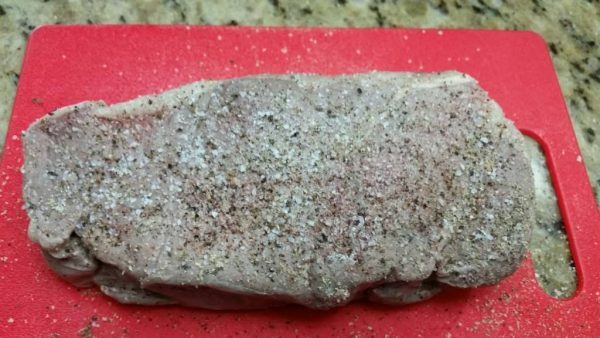 We start off with a USDA Choice Strip Steak. I usually vacuum seal my food for this but I am out of bags so a ziplock bag will work just as well for this. Remove all the air from the bag using displacement. Simply submerge the bag in cold water up to the ziplock and seal. Also, you can season the meat at this stage if you like or add aromatics such as Rosemary, garlic or thyme. Preheat the cooker and then add the meat. I’m am cooking to a temperature of 135 degrees which is between medium rare and medium. 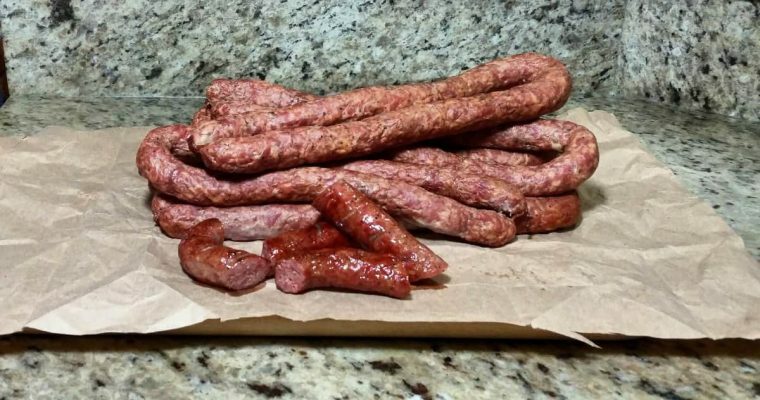 This is what the meat looks like in the bag after an hour of cooking. 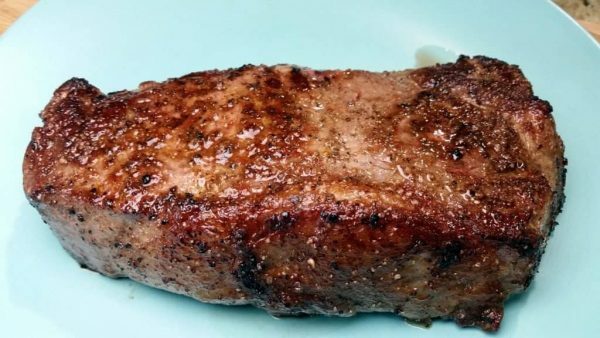 One of the great things about this type of cooking is that you can hold the steak at this temperature for several hours if needed and still get a perfect steak. You’ll want to go ahead and heat your pan to medium-high heat. I keep things simple for my steak. Salt and pepper are all I need which I liberally apply to sides and edges. Put a couple tablespoons of olive oil in the pan and when it just starts to smoke add a tablespoon of unsalted butter. You don’t want it so hot that the butter starts to burn because that won’t taste very good. But you can skip the butter altogether if you like. 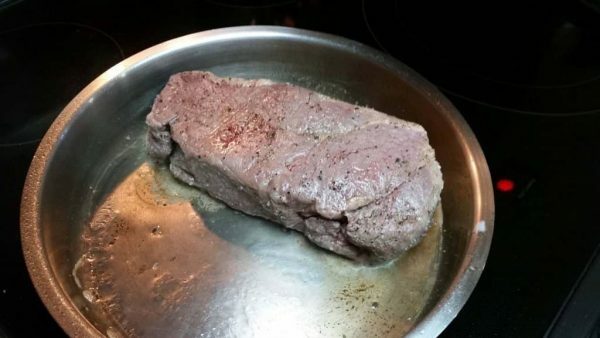 Go ahead and put that steak in. We are only trying to get a good sear which should only take about 1 minute per side. 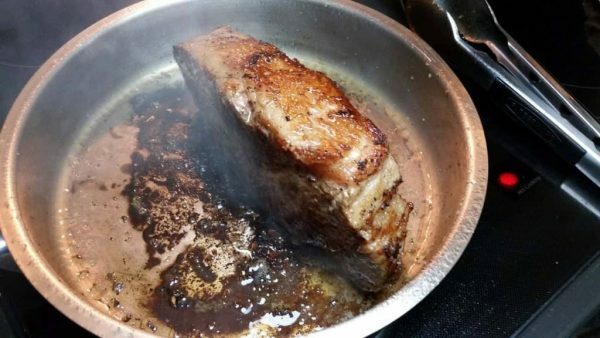 Don’t forget to sear those edges. 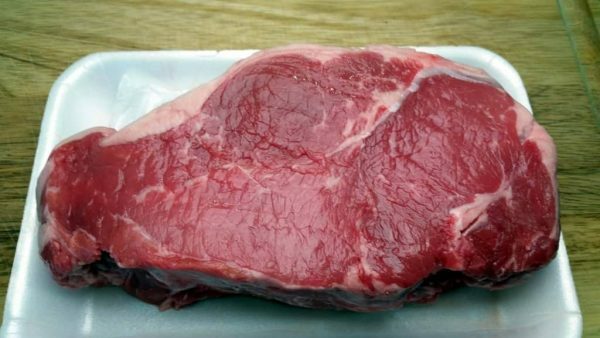 And here is our perfect steak. 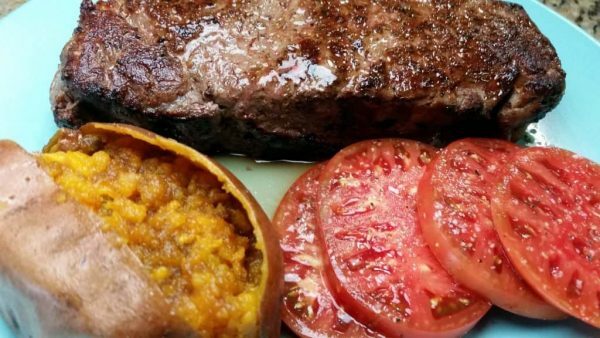 Served with a sweet potato with butter, brown sugar and cinnamon along with salt and peppered tomato slices. That’s how to cook a steak. Enjoy! Who wouldn’t love a hot bowl of thick Texas Red Chili on a cold day? It’s not too bad on a hot day either. 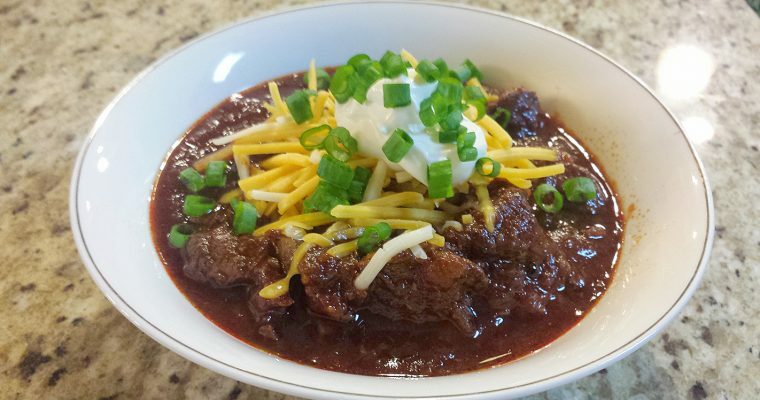 This chili recipe moves back towards the origins of chili when it was cooked on the trail. I love cook perfect steak ! They look amazing!